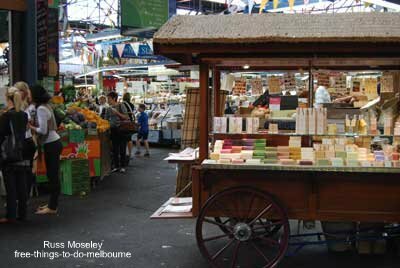 Prahran market is actually just as I'd imagined it would be - with an upmarket olde worlde English feel to it. ........Now I've been, in the words of Arnold Schwarzenegger, I'll be back!! .........Mind you, maybe I just picked a quiet day! 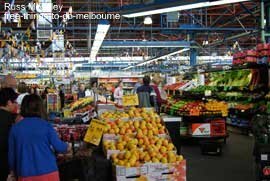 It's advertised as Australia's oldest continuously running food market having been operating since 1864. .........much better than I've seen at some other markets in Melbourne. 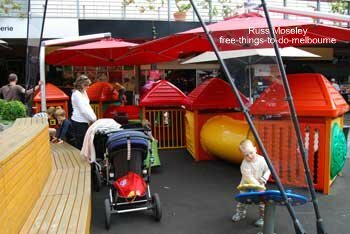 There's a small free kids play area in the market square. .........and there are even free learn to play chess lessons. 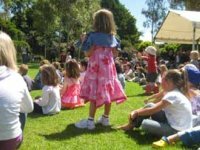 Please note that it'd be best to double check that these times haven't changed before you go, by clicking on Prahran Market Events. The Market is located at 163 Commercial Road, South Yarra. Open Dawn-5pm Tues, Thurs, Fri and Sat, 10-3pm Sun, closed Mon and Wed.